For bees, at least when the sun is out and it’s dry and warm. 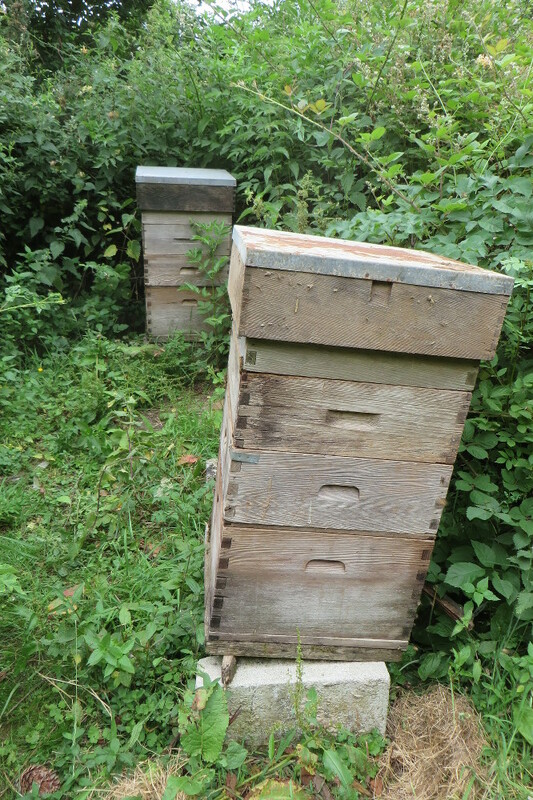 June and July are the main time bees get honey in Devon – this is when clover and bramble, our main honey plants, flower. But, it’s been so hot at the farm that looking at the bees has been put off until yesterday when, with the weather a bit cooler, I had a look. They already had three supers on but last time they were looked at there was very little honey so I hoped this time there would be a lot more. If the weather is good bees can gather a lot of honey in a short while. I took the lid off the first hive and looked in the top super. 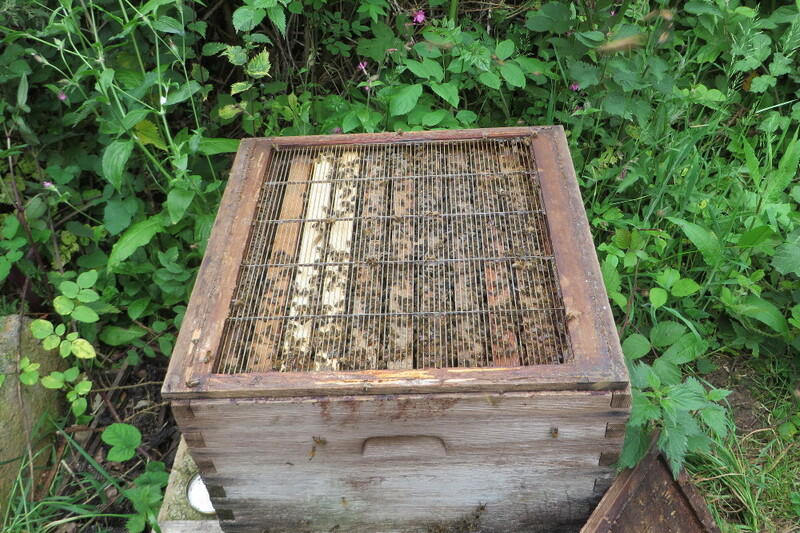 It’s fairly full of new honey, and the next two are as well – perhaps 15kg! 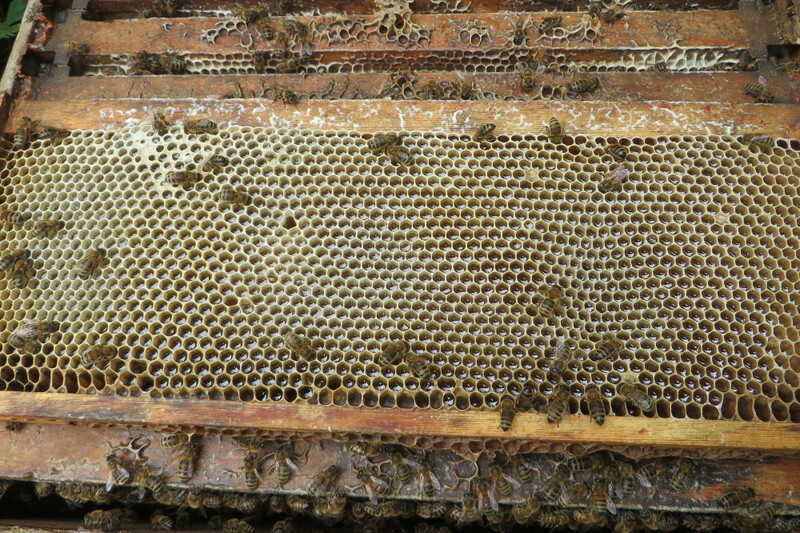 You can see the new white honey comb in the frames. It’s not honey – it’s brood. So the queen has, somehow, got past the excluder into the supers. The excluder has to be perfect so the bees can get through but slightly bigger queen can’t, so maybe the excluder is damaged. At least this shows why beekeepers use excluders – any honey in frames with brood can’t be extracted until the brood has hatched. 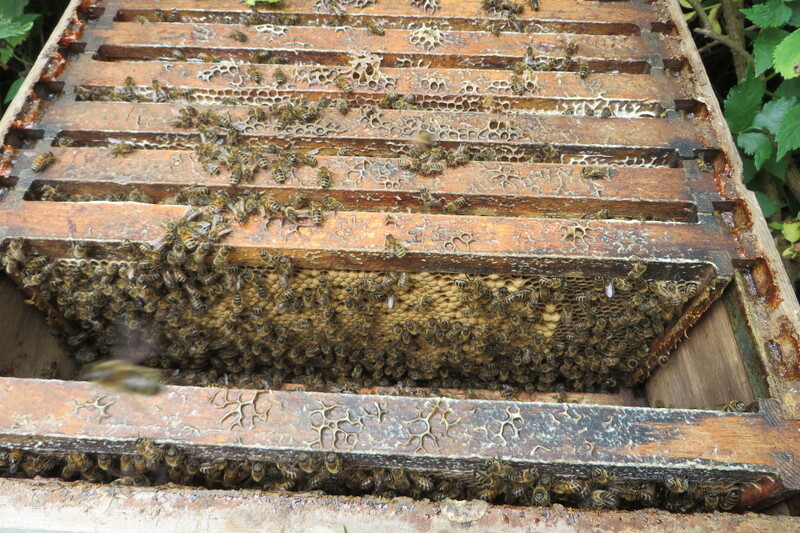 One frame in this hive did nicely show the freshly collected honey. 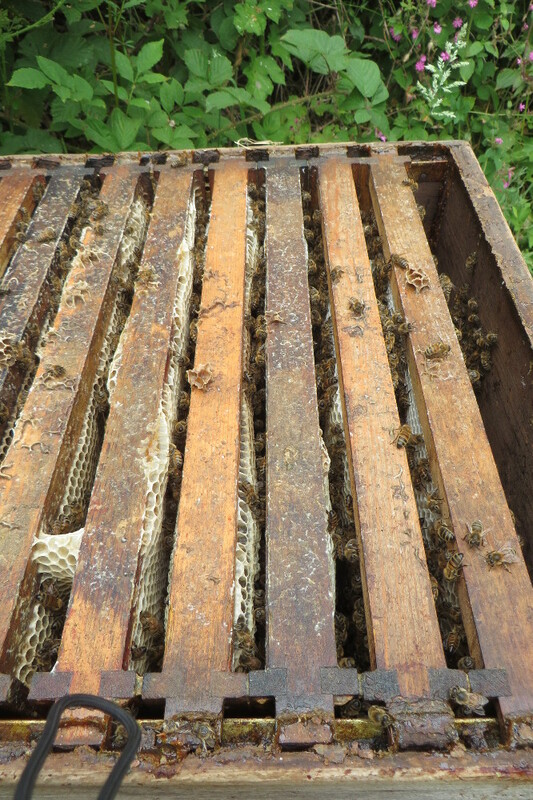 The bees have to ‘cap’ it (put a wax cover over each cell to seal it so that it keeps – they’re just starting to do it on part of the frame) and then it will be ready to harvest.